Fault-Tolerant Parallel Computation presents recent advances in algorithmic ways of introducing fault-tolerance in multiprocessors under the constraint of preserving efficiency. The difficulty associated with combining fault-tolerance and efficiency is that the two have conflicting means: fault-tolerance is achieved by introducing redundancy, while efficiency is achieved by removing redundancy. This monograph demonstrates how in certain models of parallel computation it is possible to combine efficiency and fault-tolerance and shows how it is possible to develop efficient algorithms without concern for fault-tolerance, and then correctly and efficiently execute these algorithms on parallel machines whose processors are subject to arbitrary dynamic fail-stop errors. 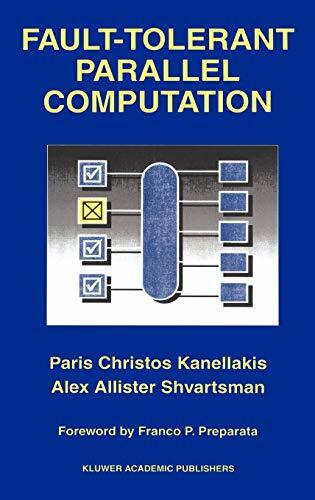 The efficient algorithmic approaches to multiprocessor fault-tolerance presented in this monograph make a contribution towards bridging the gap between the abstract models of parallel computation and realizable parallel architectures. Fault-Tolerant Parallel Computation presents the state of the art in algorithmic approaches to fault-tolerance in efficient parallel algorithms. The monograph synthesizes work that was presented in recent symposia and published in refereed journals by the authors and other leading researchers. This is the first text that takes the reader on the grand tour of this new field summarizing major results and identifying hard open problems. 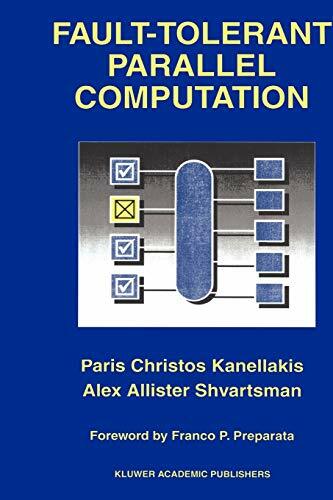 This monograph will be of interest to academic and industrial researchers and graduate students working in the areas of fault-tolerance, algorithms and parallel computation and may also be used as a text in a graduate course on parallel algorithmic techniques and fault-tolerance.